The Long Island Rough Riders and Rochester Lady Lancers met for the 2nd time in six days, after tying 1-1 last week in a rain soaked game at the Marina Auto Stadium in Rochester.The Lady Lancers came into today's game with a 1-1-2 record, while Long Island carried a 2-1-1 record, going unbeaten in their last 3 games. 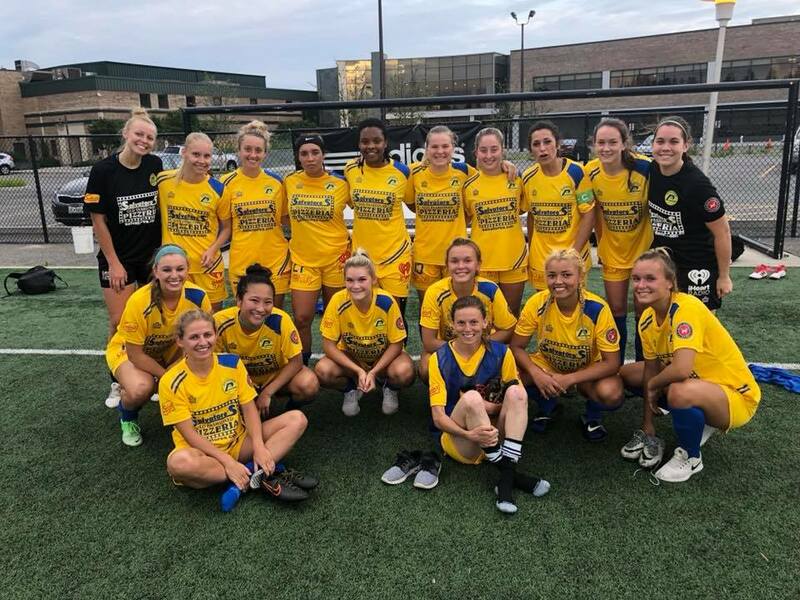 The game would start off slow with no real chances in the first 20 minutes, but Rochester would take control in the 27th minute with a goal by Elin Eklund. She would double her tally 4 minutes on a goal assisted by Dori Rizzo, putting the Lancers up 2-0. The Rough Riders came close in the 42nd minute when Taylor Elliott's attempt hit the post, but Rochester would go into half time with a 2-0 lead. The Lancers controlled possession in the 2nd half as they tried to hold on to their lead, but the Rough Riders would get a goal back in the 75th minute when Kayla Saager scored, making the score 2-1. Brooke Barbuto would come close to making it 3-1 in the 76th minute with an effort that sailed just over the bar. The Lancers would hold on for the 2-1 win. The win puts the Lady Lancers in 3rd place in the UWS Eastern Conference Standings with 8 pts and a 2-1-2 record. The Rough Riders fall to 4th place with 7pts and a 2-2-1 record. The Lady Lancers face the New York Surf tomorrow at 1:30 pm at SUNY Maritime College.